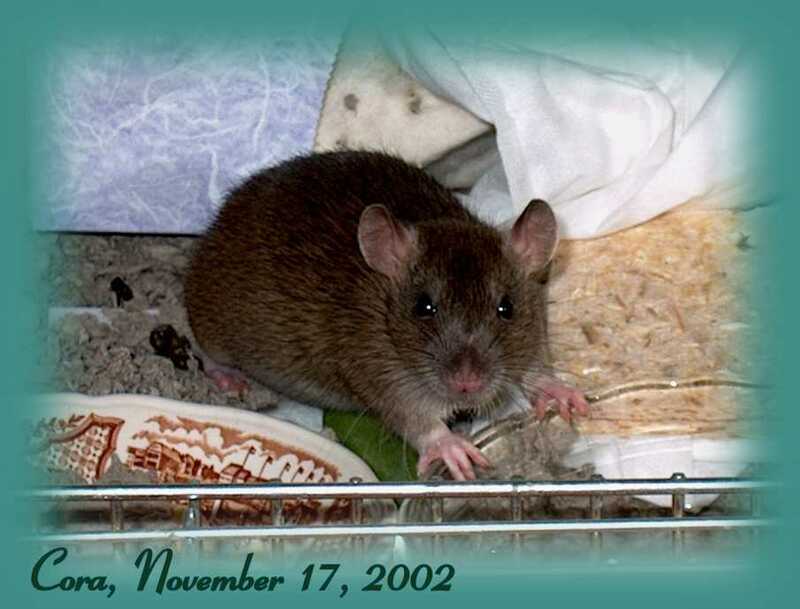 Cora was in a pet store that we have loved for many years and where we have gotten all by three of our little rodent friends. 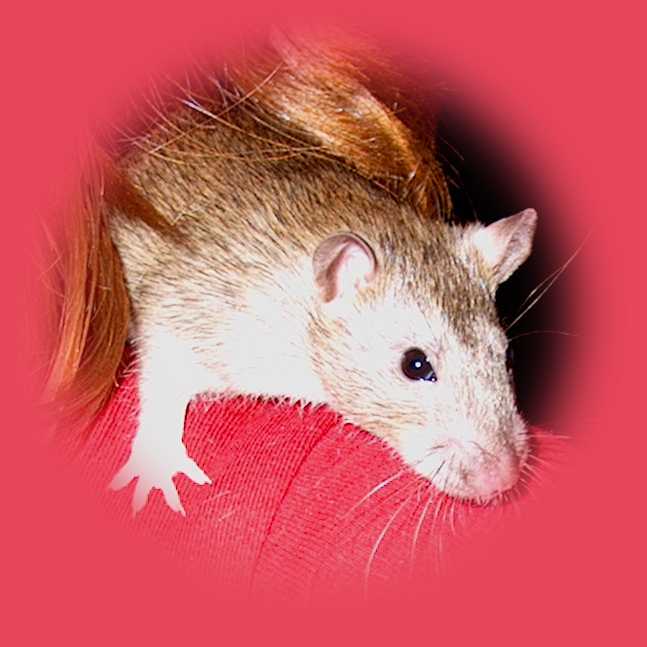 However, the day we got this little girl, we had no intentions of getting any other rats. My youngest daughter, 12, and I were shopping around for ideas on cages to help us plan one we want to build. We brought her home on 01/11/2003 and guestimated she is 8 weeks old. So we chose this date for her and her sister's birthday. Cora is enjoying some hard boiled egg for added protein in her diet. Cora having a shoulder's view of the world.